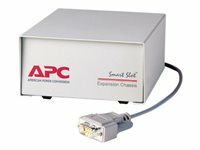 The APC UPS Network Management Card 2 allows for secure remote monitoring and control of an individual UPS via Web browser, CLI, SNMP (v1/v2c/v3), Modbus TCP and BACnet/IP. 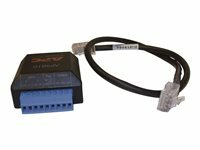 Modbus RS-485 is available with the AP9635. Embedded technology provides exceptional reliability and enables the UPS to remotely reboot hung equipment. Notification features inform you of problems as they occur. For protected servers, the included PowerChute™ Network Shutdown software provides graceful, unattended shutdown in the event of an extended power outage and is certified VMware Ready. UPS Management Notification: Be notified of problems ensuring crucial situations are dealt with in a timely manner. Scheduling: Customize shutdown and reboot of connected equipment and UPS. Data Logging: Identify problematic trends before they escalate or export logs for analysis. Event Logging: Pinpoint timing and sequence of events leading up to an incident with event log. StruxureWare Data Center Expert integration: Collect, organize and distribute critical alerts, and key information providing a unified view of complex physical infrastructure environments from anywhere on the network. Network Management System (NMS) compatible: Make device information available to your preferred NMS by forwarding SNMP traps (events) or polling across SNMP (v1/v2c/v3) using the PowerNet MIB. Reboot Equipment Remotely: Quickly reestablish availability over your network and save dispatching technicians to remote locations. Smart Battery Management: Manage and maintain entire battery system with detailed battery information, even battery cartridge parameters, providing early fault warning. (SRT Smart-UPS only). Flash Upgradeable Firmware: Convenient remote installation of UPS firmware updates.